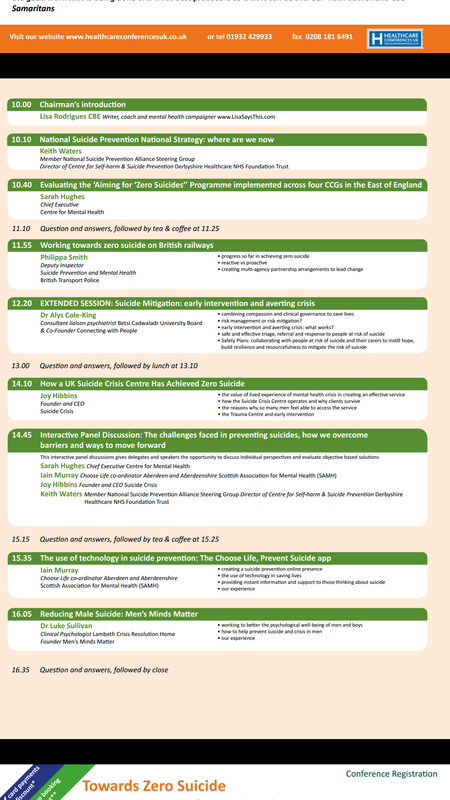 On Friday 29th September, I approached Towards Zero Suicide, a Healthcare Conference UK event, with trepidation. As a conference chair, you need to be on top of your game – or least appear to be. And I hadn’t been at my best for the past month or so (hence the absence of blogs). No trigger this time, just lower than usual confidence and mood, disturbed sleep, horrid dreams and heightened anxiety. Despite all the good advice I write about here, my tendency is still to plough on through this stuff until it goes away of its own accord or bubbles up into something worse. But this time I confided in a friend, who had already guessed I wasn’t OK. This led to me ‘fessing up to those closest to me and my GP, and then doing what was necessary to gradually get back on track. And I’m getting there. I cancelled a few things but this conference seemed too important, and anyway, I am the sort of person who needs the buzz that comes from intellectual stimulation and being in the spotlight. There was another reason for feeling nervous. As someone who has experienced suicidal thoughts and feelings from time to time, and as a Samaritan (see my last blog), I have to admit to feeling conflicted about such an aim. I worry it could send a negative signal to those experiencing such feelings or who have lost someone to suicide. But also I dedicate a considerable amount of my time these days trying to prevent suicide. This is why I had agreed to chair the conference, and why I thought carefully about how make the event respectful and supportive to all concerned, while also challenging the stigma and shame still associated with suicide. En route, I did my own, unscientific, Twitter poll. Thank you if you participated. All I take from this is that I’m not the only one who started my day with mixed feelings about a laudable aim. This was the conference programme. Some of us are more vulnerable than others to thoughts of suicide. But with enough stress and pressure, almost anyone will think about it. Whether you have, as Sarah Hughes of the Centre for Mental Health described, made your peace with the term Zero Suicide, we can all embrace the hope behind the message. Because as Keith Waters of Derbyshire Health Care and the National Suicide Prevention Alliance reminded us, suicide is not inevitable. The long history of suicide in our society helps us to understand the shame still associated with it. And we still need to tackle that shame, because ultimately it can kill. There are no simple solutions to suicide prevention. It has to be locally relevant, dynamic and evolving. And it must involve everyone, from individuals to organisations, public and private. Those who traditionally resist engagement with suicide prevention strategies, such as coroners and the media, must be persuaded that they have a part to play. While there are links to mental illness, most deaths by suicide are of people not in touch with mental health services. And yet suicide prevention is often seen as the sole responsibility of those working in mental health. As Pippa Smith of British Transport Police said with such kindness and eloquence, a death by suicide is like no other. It touches not just those directly affected. And it can cause lasting damage. Removing the means to carry out a suicide can save lives. But at the same time, if applied without sensitivity, it can also remove a person’s dignity, which may be the only thing they have left. Mental health first aid is as effective as physical first aid. So why is in not mandatory in workplaces, universities, schools, hospitals, public spaces and across society? Including in mental health services, where staff sometimes lack the basic knowledge and skills to be effective in helping a suicidal person. Too much emphasis is placed on risk assessment. As Alys Cole-King so brilliantly put it, you cannot accurately predict risk. It differs from person to person and changes moment by moment. Instead, clinicians need the latest evidence so they can assess the person rather than the risk, and provide treatment and care accordingly. 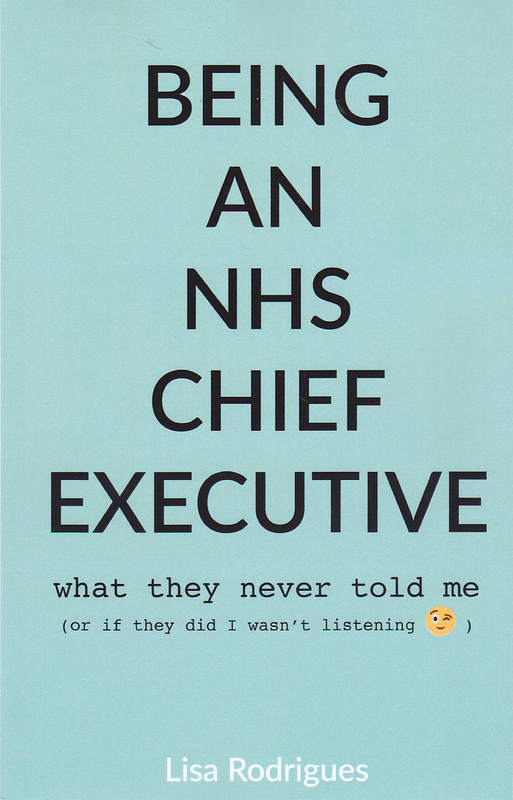 NHS crisis services are being reduced to save money, causing damage to clients and staff. Why is this not a national outrage? 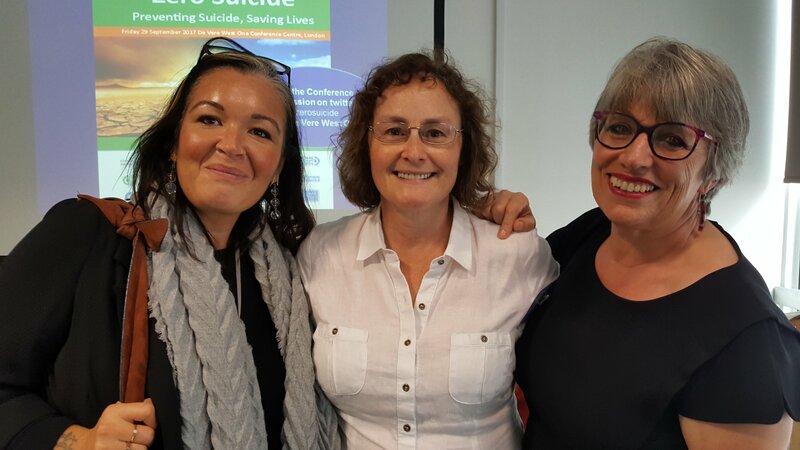 Third sector organisations such as Suicide Crisis, run by Jo Hibbens who spoke eloquently about the people they support and the lives they save, can be wonderful. But they need the safety net and professional support of statutory services. They are not a cheap alternative. Suicide prevention apps as we heard from Iain Murray, Choose Life Co-ordinator in Aberdeenshire, can really help to save lives. I loved how he has marshalled such wide community support for this work. Here is a link to the Scottish app and also the Grassroots Suicide Prevention Stay Alive app which I have mentioned before. It was good to be reminded of the physical and psychological determinants and consequences of mental crisis, and how we can all help ourselves and one another. Thank you Luke Sullivan – great job. Thank you to everyone who attended and participated so wisely and generously. I think you are all amazing. ← So what do you do these days? Fortunately I have not lost anyone to suicide. What is very frustrating is judgments made by mental health services about whether someone is actually suicidal. It sometimes can seem, especially with a diagnosis of EUPD that it is not taken seriously at all.